Join Chris Jones from legal firm GunnerCooke, as he reviews the top 3 fundamentals in an insolvency case: Investigation, Action, and Enforcement. 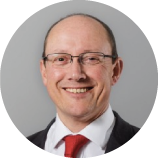 Chris Jones has over 20 years’ experience in restructuring, corporate recovery, insolvency and related work. He is rated in the legal directories Legal 500 and Chambers as a “great resource for complex aspects of insolvency law” and considered to be “tenacious and thorough in his approach” as well as “extremely approachable, calm and very pragmatic”.